Richard Lake of the Atlanta Police Department gets a cold case when a witness suddenly gets his memory back. Lake recruits Moriah Dru to look into the murder of Juliet Trapp‚ sixteen when she died‚ and a student at Winters Farm Academy. Juliet Trapp had told her mother she was going to Bike Week with Wild Blood‚ an outlaw motorcycle gang‚ over the Christmas break. The police were unable to solve Juliet's murder after interviews with the bikers. The case roars into high gear when Juliet's father‚ Sherman Trapp‚ is murdered in Chattanooga where Wild Blood is the predominant motorcycle club. Dru discovers that Trapp was trying to find the killer of his daughter‚ but got too close. Dru and Lake join forces with a wary Wild Blood to solve the murders and clear the club -- if, indeed, everyone in it can be cleared of murder. A tracer of missing children investigates a murder involving an outlaw motorcycle gang. Atlanta Detective Richard Lake asks his girlfriend, Moriah Dru, owner of Child Trace (Murmurs of Insanity, 2014, etc. 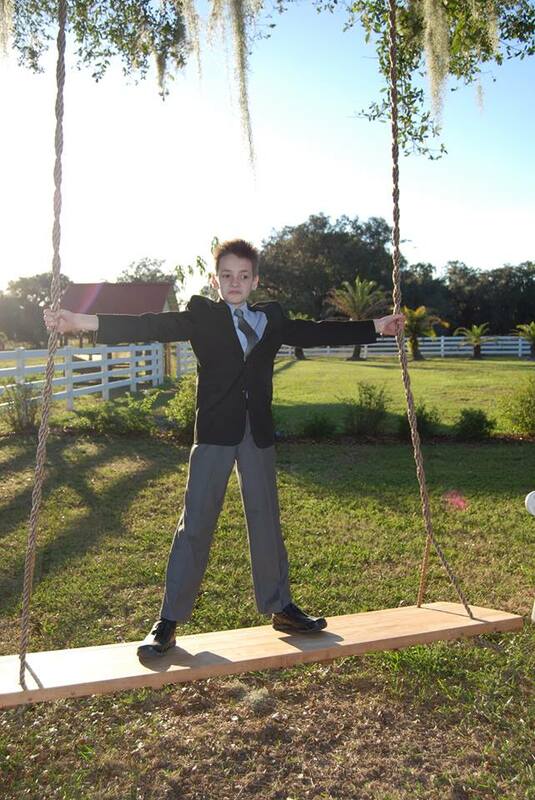 ), to look into the unsolved three-year-old homicide of Juliet Trapp. The spoiled daughter of a wealthy family, Juliet had a history of taking off on wild adventures, and her involvement with the Wild Blood Motorcycle Club may have led to her death. Although her body was found, raped and murdered, near the club's hangout, the police have never proved anything against them. Juliet's missing father, Sherman, may have been reduced to the remains Dru discovers have been stolen from a Chattanooga crematorium. Dru's only lead in Chattanooga, a Wild Blood girlfriend, has vanished. Since Juliet attended the Winters Farm Academy, Dru starts nosing around there and soon learns that some of Juliet's relationships with the faculty were problematic. One of her two best friends was left a paraplegic by a riding accident during a wild, unapproved steeplechase Juliet planned. The other, Bunny Raddison, proves hard to find. Lake and Dru get permission to ride Lake's Harley with the Wild Bloods to a gang convention in Florida. After Dru fatally shoots a wannabe biker trying to kill Wild Blood leaders at a Blood funeral, the gang agrees to help find Juliet's killer. Dru's mission is complicated by ambitious FBI agent Grady, who has a snitch in the gang. 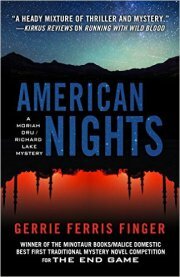 Grady follows the Bloods to Florida and seems to be trying to roll their case into his big investigation of outlaw bikers. While Dru and Lake desperately try to find Bunny, Dru's computer specialist continues to dig for background. When Dru is nearly taken down by hired killers, she knows she must be getting close to the solution. A heady mixture of thriller and mystery with so many red herrings that you'll need a trawler to catch them all. 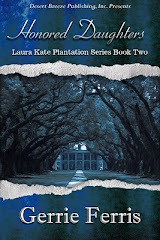 Thanks for reading my blog and check out the books in the Dru/Lake Series. Also check out The Ghost Ship, A Glorious Curse, Whispering, and the novels in the Laura Kate O'Connell Series: Honored Daughters, When Serpents Die and Wagon Dogs. To mothers across the globe and to those who share their lives and loves with their children and teach them how to live the joy of life. My late mother taught my brother and I to communicate and act with compassion and happiness. To my daughter who shares her beautiful heart and soul with her son. To my daughters-in-law who share their love and joy with their son and daughter. I hope that my granddaughters and grandsons can say the same for me. The horn will blow the call for the "Run for the Roses" on May 7, 2016 in the 142nd running of the Kentucky Derby at Churchill Downs. 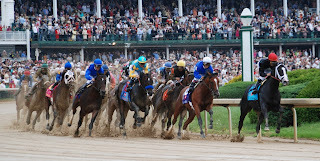 The race is the first of the famous Triple Crown races for three-year-old horses. In 1872, Col. Meriwether Lewis Clark, Jr., grandson of William Clark of the Lewis and Clark expedition, traveled to England, visiting the Epsom Derby, a famous race that had been running since 1780. From there, Clark went on to Paris, France, where a group had formed the French Jockey Club and had organized the Grand Prix de Paris at Longchamp -- the greatest race in France. Back home, Clark organized the Louisville Jockey Club to raise money to build a quality racing track. That track would become Churchill Downs, named for John and Henry Churchill, who provided the land for the racetrack. 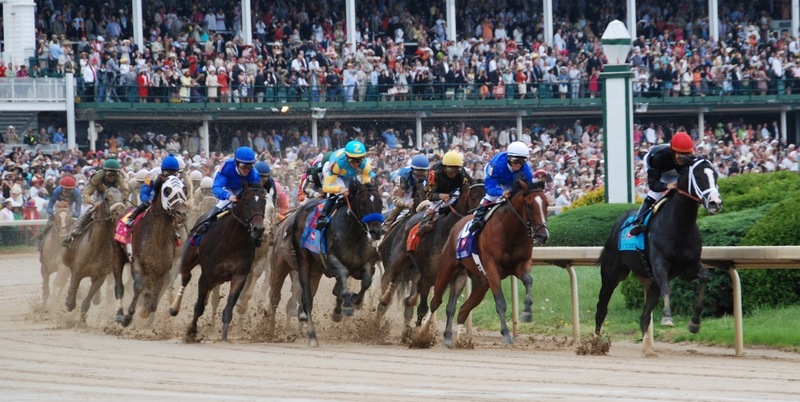 The Kentucky Derby was first run at 11⁄2 miles, the same distance as the Epsom Derby. The distance was changed in 1896 to its current 11⁄4 miles. American Pharoah won it in 2015. Ridden by Victor Espinoza and trained by Bob Baffert. The first winner: Out of a field of 15 horses, Aristides, trained by Ansel Williams and ridden by Oliver Lewis, won. 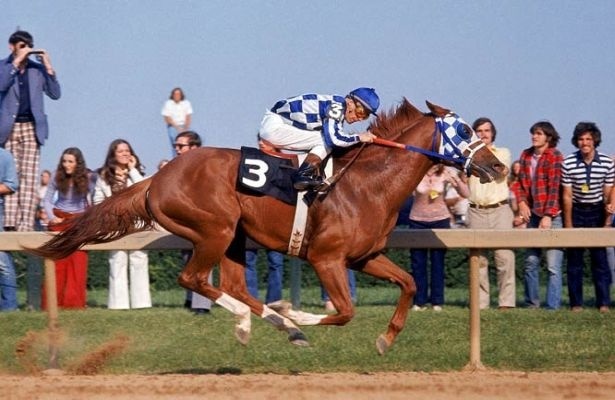 Thoroughbred owners began sending their successful Derby horses to compete a few weeks later in the Preakness Stakes, in Baltimore, Maryland, followed by the Belmont Stakes in Elmont, New York. In 1919 Sir Barton became the first horse to win all three races. However, the term Triple Crown didn't come into use for another eleven years. In 1930, when Gallant Fox became the second horse to win all three races, sportswriter Charles Hatton brought the phrase into American usage. Mint Julep: Iced drink of bourbon, mint, sugar syrup. Burgoo: A stew of beef, chicken, pork and vegetables. Derby Pie: A tart filled with chocolate and walnuts. (Secret family recipe). My Old Kentucky Home: As the horses are parade before the grandstands, the University of Louisville Marching Band plays Stephen Foster's "My Old Kentucky Home," a tradition began in 1921. Run for the Roses: So called because a garland of red roses is draped across the mane of the Kentucky Derby winner each year. The tradition originated in 1883 when a New Yorker presented roses to ladies at a post-Derby party that was attended by Churchill Downs founder and president, Col. M. Lewis Clark. 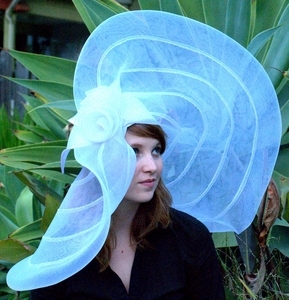 Large (race-obscuring) Hats: Though horse racing was “old hat” for British and French society, American women shied away from horse racing – yikes - gambling and drinking! Clark, being the visionary that he was and not wanting his new race to seem seedy, encouraged women to attend in the guise of a picnic with friends. Thus they created an allure by positioning it as a fashion event with full morning dress for men and women. Col. Clark would be proud: Through the decades, we women kept our responsibilities in curtailing seediness. We wear ornate, ridiculously large, hats -- and sometimes gloves. Watch the most anticipated shortest two minutes in sports! Today is Cinco de Mayo or as some say Cinco de Drinko! 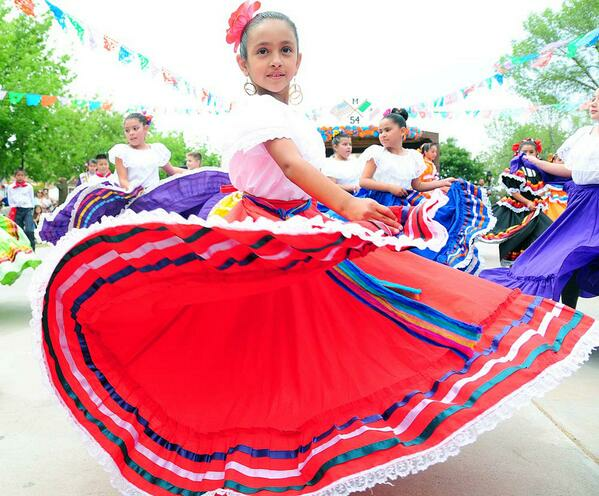 Cinco de Mayo, Spanish for "May 5th", or literally, "Five of May", is a celebration held on May 5. The date is observed to commemorate the Mexican Army's unlikely victory over French forces at the Battle of Puebla on May 5, 1862, under the leadership of General Ignacio Zaragoza. In the United States, Cinco de Mayo is sometimes mistaken to be Mexico's Independence Day—the most important national holiday in Mexico—which is celebrated on September 16. Thanks to Wiki, now you know.